The motor industry is still being rocked by the revelation that Volkswagen installed software that falsified the results of diesel emissions tests. But this is not the only major example of technical data being manipulated or falsified in the interests of profit. In the Libor, Eurobor and Forex market scandals traders dishonestly altered interest rate data in order to make more profit for themselves. The great financial crisis of 2007-08 itself resulted from a mass of examples of massaging and distorting of statistical data. Less openly dishonest but at least as devastating have been other cases where financial criteria are allowed to trump technical and professional criteria. BP’s pollution of the Gulf of Mexico following the explosion at its Deepwater Horizon oil rig in April 2010 was such a case. BP’s technical experts had warned about the risks of instability at the rig, but their technical knowledge was ignored in the face of financial experts’ concern for BP’s profits. The damage to the Tokyo Electric Power Company’s nuclear reactor at Fukushima following the earthquake and tsunami in 2011 was another. Although the main disaster was a natural one, the official report on the case found that warnings of technical staff over the vulnerability of the plant had been ignored for financial reasons. Different in kind but from the same stable were the cases of phone-hacking by various British journalists over a number of years; reporters at News International and other media organizations allowed their journalist ethics to be subordinated to their bosses’ need for money-making stories. What unites all these examples is the corrupting effect that financial knowledge has on other forms. The task of producing data, especially the statistics that measure performance, is increasingly dominated by that mother of all statistics, the maximization of profit, the achievement of targets, the bottom line. When it comes to a conflict between the dictates of financial data and those produced by other sciences, what should the technician who works for a profit-maximizing firm, or for a public service organization required to meet targets that are their analogue of profit, do? And how should we the public deal with the flood of data produced in such a context, that claims to tell us for each car its exhaust gases, for each bar of chocolate its nutritional value, and every university its ranking on some scale? On one level such statistics are very reassuring. They enable us to compare precisely, to calculate risks and in general to behave like rational modern people. We usually do not understand the science that lies behind these numbers, but that is not necessary. We need only to be able trust the experts who produce the data. But can we? And can we trust the advice of doctors, teachers and others who have been given strong incentives to place the achievement of targets over their professional judgement? In a market economy firms that lose the trust of customers and investors should lose trade to competitors who behave honestly. That is their incentive to behave honestly despite the temptation to maximize profit by doing otherwise. However, they might calculate that the gains from a successful deception are so great that they outweigh the negative consequences of discovery – especially if the risk of discovery seems very small. This must be how the VW staff concerned argued, as did their opposite numbers in BP, the Tokyo Electric Power Company, and the large number of world-famous banks implicated in the financial scandals before them. Ordinary mortals might gasp at such willingness to take such high risks. But that quality is exactly what marks out successful bankers, entrepreneurs and public service managers from the rest of us. Strong incentives indeed are needed to make them avoid the risks of acting dishonestly, but much in the present business environment skews those incentives the other way. We still don’t know whether the Volkswagen group is the only car manufacturer that has cheated over diesel exhaust emissions. Even if it is, it may, like the great banks, find that it is ‘too big to fail’, and that German taxpayers will have to bail it out. If other firms are involved, VW managers will probably breathe more easily if they take a look at what happened in the finance industry. So many major banks were involved in the recent scandals that none need fear that they will lose customers as a result. Where else can customers go? True, the banks have been fined enormous amounts in the US, British, Swiss and other courts; but if almost all participants in a market bear similar burdens, in the end the costs can be passed on to customers through higher bank charges, the closure of branches and other inconveniences. Certainly none of Barclays, HSBC, Deutsche Bank and others has gone under. They continue proudly to advertise their wares, and strut on the global markets. After the scandals Barclays appointed a new CEO, Antony Jenkins, a man with a high reputation for honesty, with the mandate to clean up all the bank’s activities. During the past summer he was sacked; the bank said that it now needed a ‘new set of skills’. In such a situation, why not take risks with reputation in order to achieve higher profit? It was the public regulatory system of the USA that discovered the VW scandal. So long as great enterprises face such incentives to deceive, we shall continue to need such institutions, as well as systems that ensure the trustworthiness of regulators themselves. We need tests, inspections, and many statistics in which we can believe if we can have confidence that the dominance of the financial mother of all statistics can be successfully challenged. This is an expensive system; and not surprisingly business interests and their political representatives will continue to rail against the costs and bureaucracy of regulation. But these are the price we have to pay for the loss of trust produced by the supremacy of the profit motive in an economy of highly imperfect competition. You can read the full article from issue 87 1 of the Political Quarterly here. 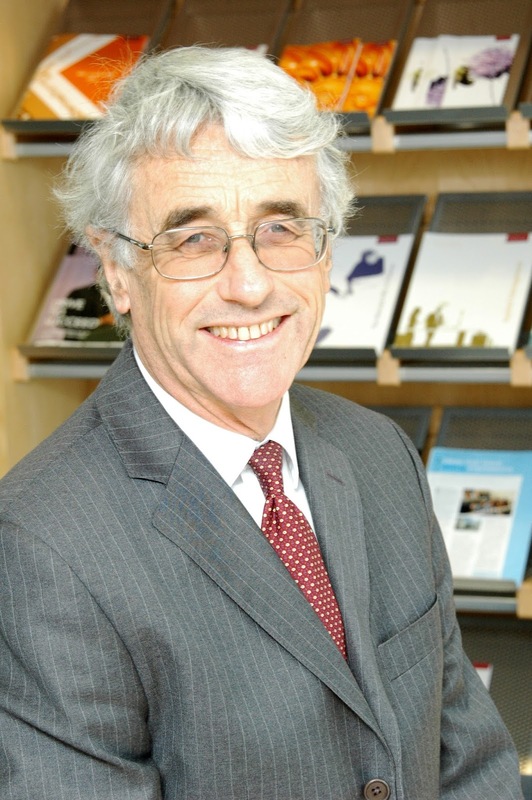 Colin Crouch is an emeritus professor of the University of Warwick Business School. His book The Knowledge Corrupters: Hidden Consequences of the Financial Takeover of Public Life will be published next month by Polity Press.